Kirsten is a B-List Specialist Regulatory Advocate and has been Government Legal Department panel counsel since 1st November 2012. Since 3rd April 2018 Kirsten has been Regional B panel counsel for the Government Legal Department. Arising from her appointment to the panel Kirsten has significant experience of inquests where there has been a death in custody. Kirsten frequently represents the Ministry of Justice who are responsible for the National Prison and Probation Service. As a result of her experience, she has a good understanding of the issues that tend to arise in prison inquests, is familiar with the first night process, the ACCT process and the steps that should be taken to protect vulnerable persons in custody. Kirsten has been instructed in inquests where the deceased has not had English as a first language and the particular vulnerabilities that can stem from communication difficulties. Kirsten has a good understanding of issues arising from the use of drugs in prison, in particular new psychoactive substances and the steps that are normally taken to prevent the use of drugs in prison, the intelligence systems used and the monitoring of prisoners. In 2017 she presented seminars to criminal solicitors about the issues surrounding the New Psychoactive Substances Act 2016. Kirsten is very familiar with the format of Prison and Probation Ombudsmen Reports and the recommendations arising from such reports. Kirsten has dealt with numerous inquests where one of the central issues has been the emergency codes and has a good understanding of PSI 03/2013 and the requirements contained therein. Kirsten is confident dealing with matters arising from the process that should be followed where a code blue or a code red is called and has an awareness of the new training implemented in conjunction with the NHS and the ERIC cards that are currently being issued to prison staff. Kirsten understands the difficulties that witnesses face giving evidence about their involvement in cases before the Coroner’s Court. Kirsten has undertaken training in respect of questioning of vulnerable witnesses, applicable equally in the Coroner’s Court as in the Crown Court. However, her criminal court work means that she is able to conduct robust cross-examination when the circumstances require. Inquest work has some degree of overlap with Kirsten’s criminal practice and the issues that arise in criminal trials. Kirsten is confident handling expert witnesses and is used to doing so in both an inquisitorial and adversarial setting. 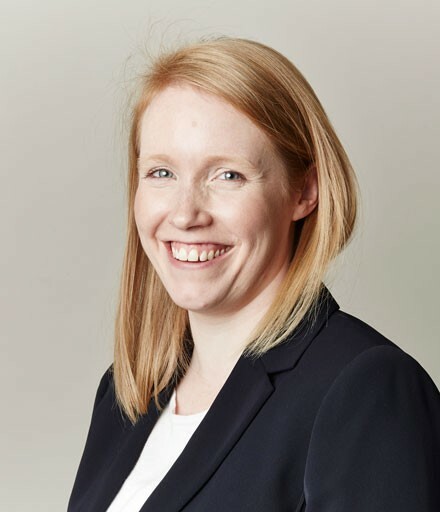 Kirsten has recently represented a defendant in a fraud matter linked to the death of a baby in a cot where the co-accused initially facing a charge of gross negligence manslaughter, pleaded guilty to health and safety offences. Kirsten is developing her inquest experience and skills to deal with inquests arising in a range of other circumstances. In order to gain such experience Kirsten is undertaking training to broaden her knowledge of issues in the Coroner’s Court and has recently signed up to the medical training primarily for Assistant Coroners, led by Hull Coroner’s Court, the first session of which is on Industrial Diseases. 2018 Re AW Article 2 jury inquest – representing the prison following a death in custody – conclusion of accident. 2018 Re JN Representing the prison following a death in custody – conclusion of natural causes. September 2018 Re AF Representing the prison following a death in custody – conclusion of natural causes. October 2018 Re DS Article 2 jury inquest – death in custody – conclusion of misadventure. Case involved the passing of a package of drugs to the deceased by a visitor. following submissions contributed to by neglect was not left to the jury. Re QN Death where two men who had met in custody whilst serving sentences for murder were being supervised by the probation service on life licence went on to murder again, together. Re SH Death of a serving police officer. Kirsten Mercer may accept Public Access work, where he can be instructed directly by a member of the public rather than a solicitor. On 26th January 2018 the High Court handed down judgment in the case of R (on the application of Julie Hambleton and others) and coroner for the Birmingham Inquests (1974)  EWHC 56 (Admin). Kirsten Mercer summarises the decision on what was called “The Perpetrator Issue” and considers the impact it may have on the scope of inquests.